Gorgeous Horse farm in quiet tranquil setting. Ten acre site has fencing and two barns plus older three bedroom home that I have not added additional value for. 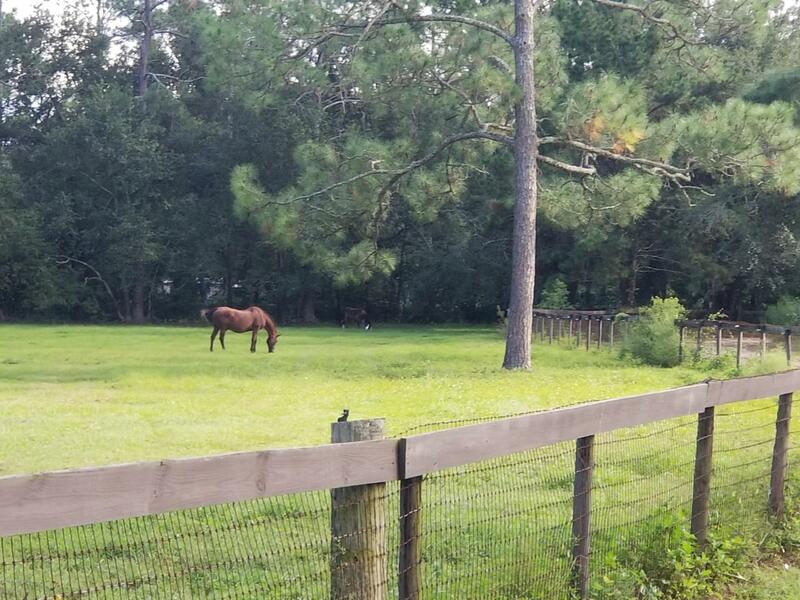 This horse farm is an operating farm with riding lessons and horse boarding. Such a pretty relaxed setting that is so tranquil and yet conveniently located just west of the First Coast Expressway, Blanding Boulevard, and has uncrowded route to I 10 for down town commuters. Horse farm is just west of St Vincents Clay Hospital, Brannen Field Village that has broken ground, lots of shopping, restaurants, and Oak Leaf Town Center. With land use of Rural Suburb would be excellent site to build family homes for extended family members. Brannen Field Master Plan carries Planned Unit Development as the zoning for a housing development.